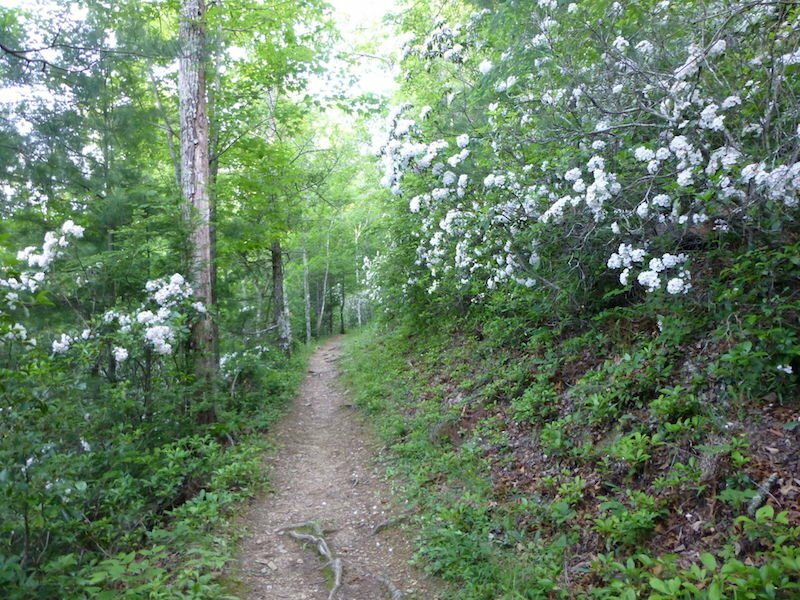 Rarely crowded, the Lumber Ridge Trail serves up tranquil ridge top forests, occasional mountain views, and plenty of history—all via a nice little Smoky Mountains-style workout. 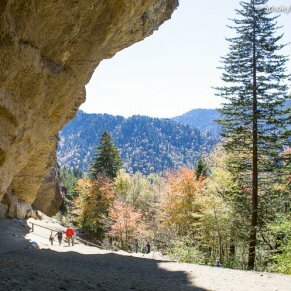 For a quiet but moderately challenging ramble in the Great Smoky Mountain highlands, consider the Lumber Ridge Trail in the Tremont section of the park. 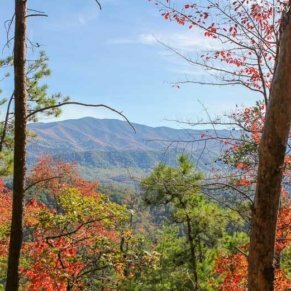 This 8.1-mile out-and-back trek links Walker Fields, host to the Great Smoky Mountains Institute, and the backcountry crossroads of Buckhorn Gap. 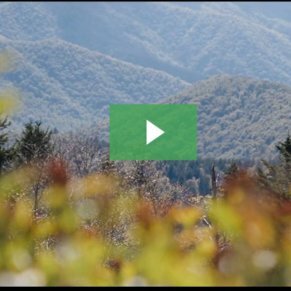 The trail involves 1,524 feet of elevation gain and you should allow a solid half-day for the roundtrip hike. 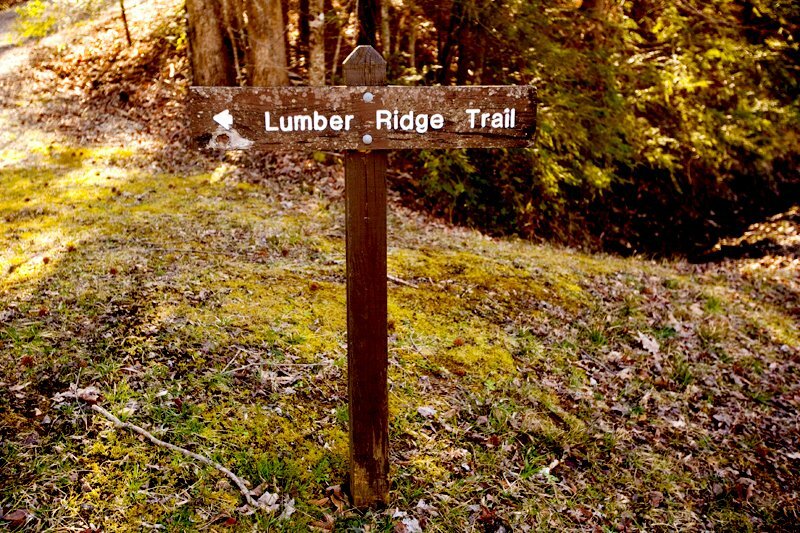 The Lumber Ridge Trail begins at a parking lot on the grounds of the Great Smoky Mountains Institute in Walker Fields, which was named for Will and Nancy Walker who homesteaded here in the mid-1800s. 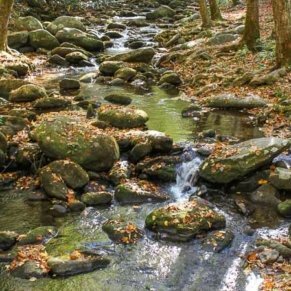 The name stems from the region’s history as a lumbering area: The Little River Lumber Company operated a sawmill in Townsend, Tennessee and ran a rail line from it up the drainages of the Little River watershed, operating mill towns at Elkmont and Tremont. The Tremont section along the Middle Prong of the Little River was the last to be logged, not least because Will Walker long resisted selling his spread to the company. 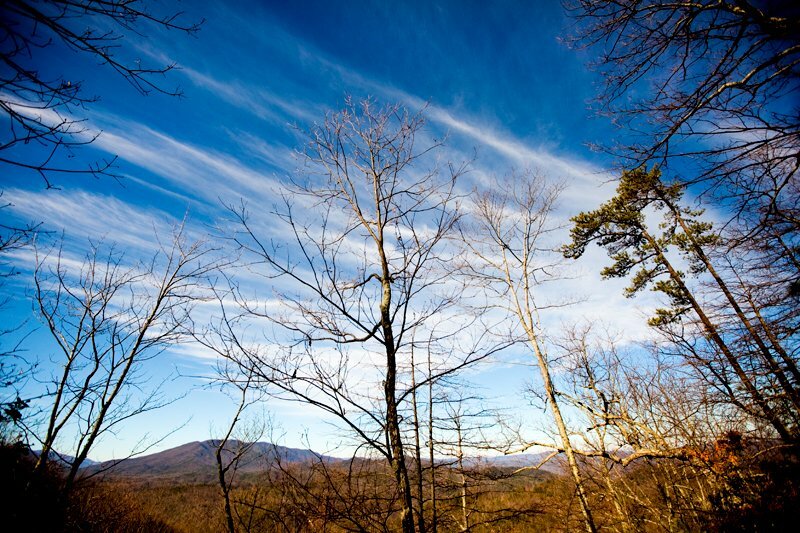 The Little River Lumber Company hauled its last timber out of here in 1938—four years after Great Smoky Mountains National Park was established. Leaving Walker Fields and quickly passing a turnoff for the Buckeye (aka Spruce Flats Falls) Trail, you’ll switchback northward up out of the Middle Prong valley. The trail wraps around to the southeast above the confluence of the Pigpen Branch and the Middle Prong. It then crosses the Pigpen Branch and turns northeast to trace the side slopes of Mill Ridge. Some 2.4 miles in, alternating between pine-oak woods and heavier cove-hardwood groves, you’ll come to a subtle pass where Mill Ridge merges with the more significant crest of Lumber Ridge. 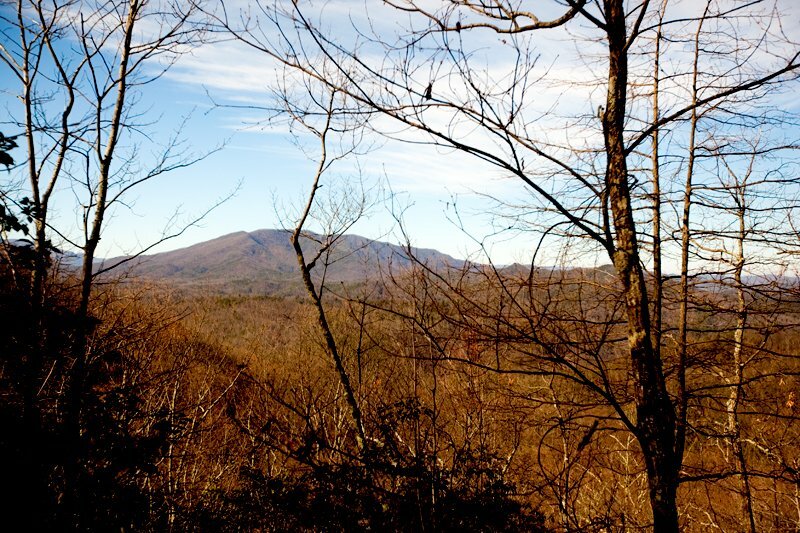 From a high point of about 2,700 feet, you’ll make a more gradual descent above the headwaters of the Bloody Branch to reach Buckhorn Gap at just past the four-mile mark. 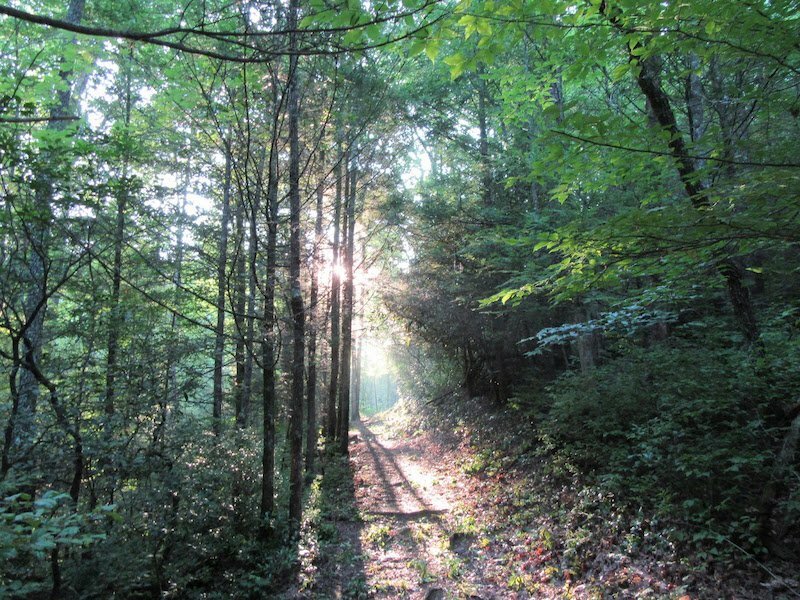 Buckhorn Gap, a saddle on the Little River-Middle Prong divide, marks the three-way intersection of the Lumber Ridge, Meigs Creek, and Meigs Mountain trails. 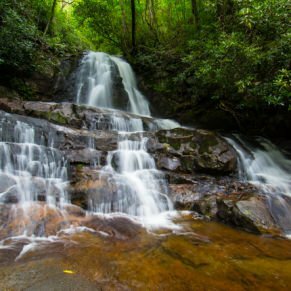 It serves as your turnaround point, unless you’ve arranged a shuttle hike via the 3.5-mile Meigs Creek Trail (which heads north to the Little River Road at The Sinks) or the Meigs Mountain Trail, which reaches the Elkmont area more than six miles eastward. 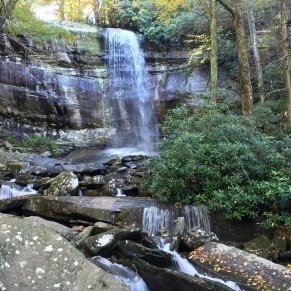 You actually have a fourth option at Buckhorn Gap besides retracing your steps on the Lumber Ridge Trail or taking the Meigs Creek or Meigs Mountain trails. 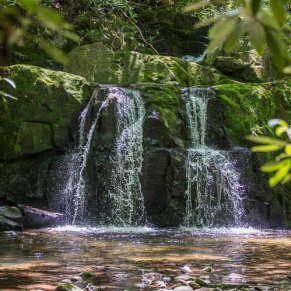 You can turn your Lumber Ridge odyssey into a loop hike by taking the manway path downstream the Spruce Flats Branch from the Gap, which brings you to Spruce Flat Falls and its mile long access path back to the Great Smoky Mountains Institute. From downtown Gatlinburg, drive towards the National Park. When you see the Sugarlands Visitor Center on your right-side, make a right turn on Little River Road. After turning right, you will drive approximately 17 miles until you reach the Townsend “Y” intersection. Approximately 0.2 miles after passing the “Y” intersection, turn left towards the Great Smoky Mountains Institute at Tremont. Next, drive approximately two miles and then turn left into the Great Smoky Mountains Institute. You will cross a narrow bridge and reach a small parking area on the right side.